Cable Tray | Senkox Technologies Inc.
Power plants and industrial buildings often have miles of cable trays that carry power, data, and communication cables. Accumulation of heat from overloading, short circuiting, and aging cable often presents a fire hazard that can ultimately lead to lengthy downtime and even a large monetary loss. Cable trays are often stacked underground, above the ceiling, or through the walls. As a result, the trays often take tight turns and are frequently placed in contorted positions. Over time old trays need to be removed and new trays added. Therefore, any temperature monitoring system associated with the trays must be durable and flexible to accommodate these conditions. 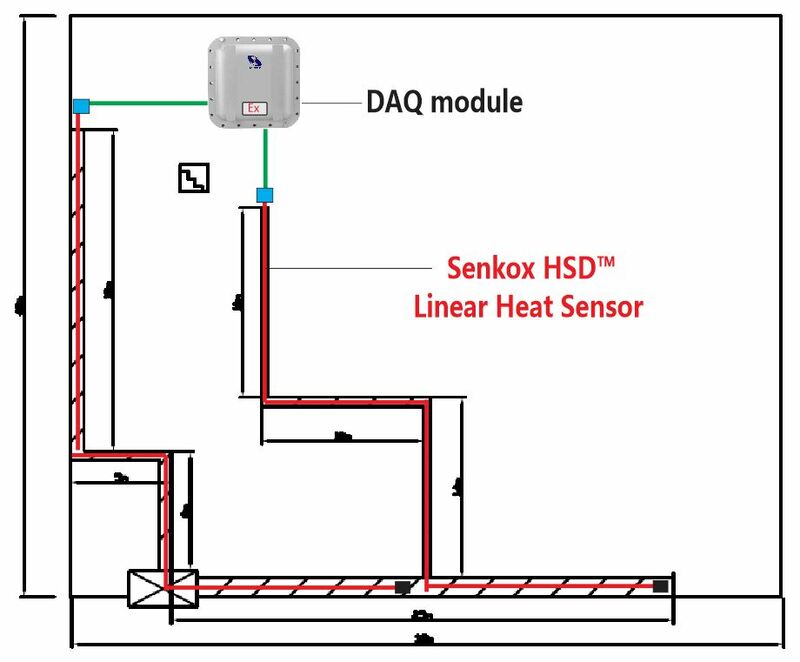 Senkox HSD™ Linear Hot Spot Detectors provide an ideal solution for the temperature monitoring of cable trays. 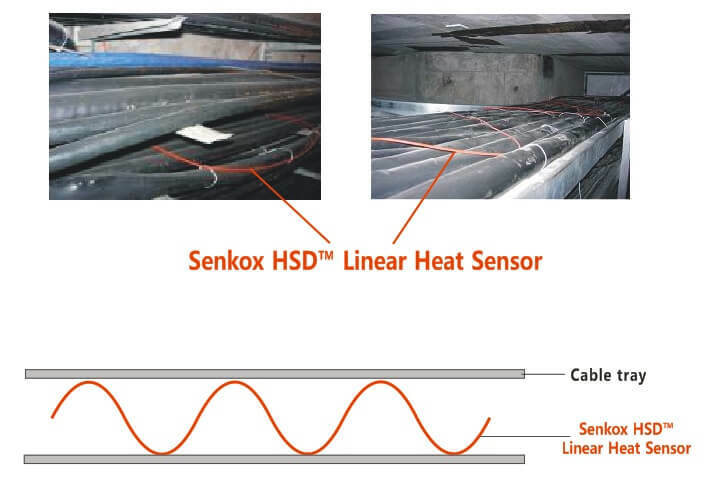 The Senkox HSD™ Linear Heat Sensors are installed on top of power cables in the cable tray. HSD sensors are mounted in a sinusoidal wave configuration along the tray to maximize coverage. The HSD sensors can then detect the real-time temperature, location and size of any emerging hot spots. Intrinsically safe sensors, can be installed in the hazardous location. Rugged Sensors, resistance to bending. Sensors are easy installation and replacement. Detect the real-time temperature of the hot spot. Detect the position, size of the hot spot.